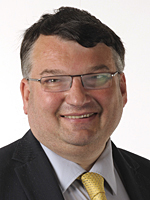 Bob Smytherman has been a West Sussex County Councillor since 2009 and Worthing Borough Councillor since 2002. He is Trustee of Coastal West Sussex Mind and Chairman of the Federation of Private Residents Associations. He is a Regulation 44 Inspector for Kingdom Care Ltd. Children's Homes and a mentor for Durrington High School. Bob is also the official Town Crier for Worthing on behalf of Worthing Town Centre Initiative.